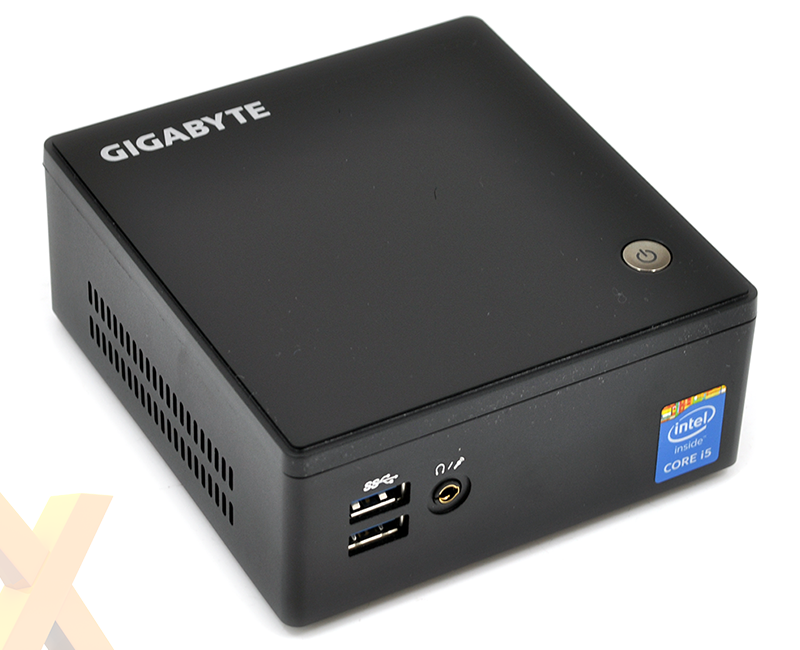 Gigabyte has refreshed its range of Brix mini PCs with the launch of new models outfitted with a fifth-generation Intel Core processor, codenamed Broadwell. Based on our experiences of earlier units, as well as the similar Intel NUC, the Brix is brimming with potential as an ultra-small and energy-efficient PC for mainstream use. However, previous-generation models have typically carried two potential caveats in the form of cost and noise, so we're intrigued to find out whether or not the latest crop can alleviate such concerns. 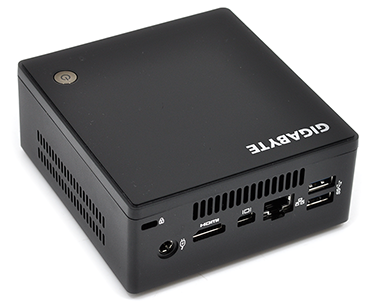 In for review today is the Brix S GB-BXi5H-5200, which in barebone form retails for £315. This includes the core of the computer, but end users will need to add their own memory (of the SO-DIMM variety) as well as a storage drive and operating system. Building a Windows 8.1 system using the Brix S as the foundation will therefore set you back somewhere in the region of £450 when configured with 8GB of DDR3 memory and a small 120GB SSD. Making things interesting, Gigabyte has opted not to send in a barebone sample and has instead provided a fully-assembled unit from Ambros. As such, our Brix S is pre-equipped with 8GB (2x4GB) of Adata DDR3-1600 memory, a 120GB Kingston SSDNow mSATA system drive, as well as a 1TB Samsung hard disk and a 64-bit bloatware-free install of the Windows 8.1 operating system. The specification is in keeping with how we'd choose to configure the barebone platform, however the cost perhaps isn't for the true enthusiast. For the assembled PC, Ambros is charging £630, meaning it would be cheaper to install the components yourself, but doing so would mean no cover - Ambros' fully-configurable box is shipped with a one-year warranty as standard. Further, according to Gigabyte, and explaining the Ambros relationship to a greater degree, one of the key selling points of a unit like this is for volume business-to-business sales, hence the partnership. Pricing, it seems, is what's holding these mini PCs back. 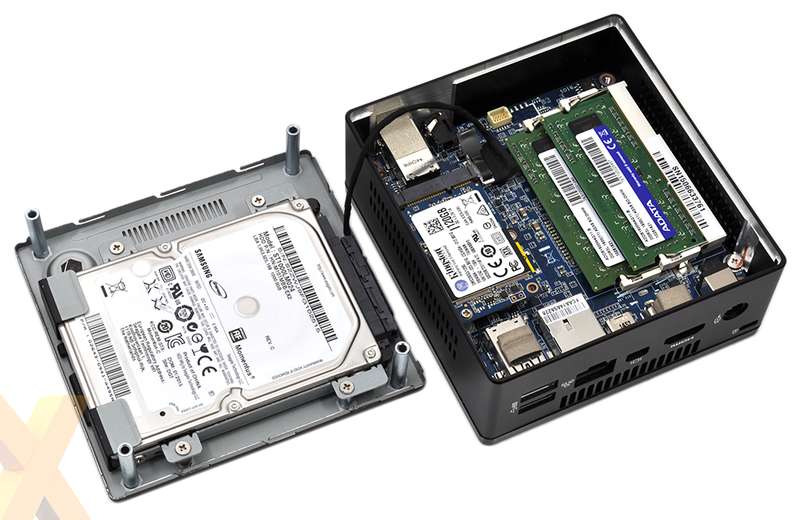 We know before the benchmarks exactly what to expect - the Intel Broadwell processor is going to be perfectly adept at handling everyday PC workloads - but £315 for a barebone or £630 for the as-reviewed unit is a lot to ask for an itty-bitty PC. Someday in the distant future, mini PCs will be impulse buys at supermarket checkouts, but as it stands, pricing remains too high for these little boxes of joy to break into the mainstream. On a more positive note, Gigabyte's integration is decent. We like the fact that dual-channel memory slots are available, the chassis is VESA compliant for mounting on the back of a compatible monitor, and there are also two storage options. An mSATA slot is attached to the PCB for installing a compact SSD, and to maintain compatibility with existing drives, a 2.5in tray is attached to the rear of the bottom panel. Connectivity options are also plentiful, with the Brix S unit offering four USB 3.0 ports (two of which are front-facing), as well as Gigabit Ethernet, HDMI, mini DisplayPort and a connector for the small, 65W external power supply. 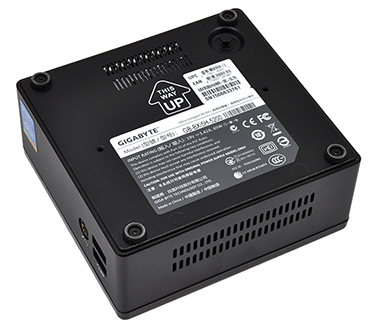 Wireless AC and Bluetooth connectivity are also included as standard, though Gigabyte has missed a trick in terms of drivers - they're provided on a CD rather than a USB dongle. Overall build quality is good, with the compact 47mm x 108mm x 114mm chassis exhibiting no unwanted flex, and undoing a few simple screws allows us to remove the internal PCB. Said board is somewhat sparse in appearance due to the amount of integration within the CPU, and it's the Broadwell chip that's the key differentiator between the Brix S and older models. Underneath the small fan assembly, the chip in question is a Core i5-5200U. Built on a 14nm process and carrying a mere 15W TDP, it offers two physical cores, Hyper Threading, a maximum turbo frequency of 2.7GHz, 3MB of onboard cache and integrated HD 5500 graphics. Decent on all fronts, but if you're expecting Broadwell to be a giant leap, you may be left disappointed as the new i5-5200U isn't all that dissimilar to 2013's i5-4200U. Peak core frequency has risen from 2.6GHz to 2.7GHz, while graphics have been upgraded from HD 4400 to HD 5500, but there isn't a lot else to write home about. How about noise from the single, small fan? Well, it isn't all bad news. The Brix S GB-BXi5H-5200 proved to be noticeably quieter than the Brix units we've tested in the past, however it's still some way from silent. There's an audible hum at all times, due to the fan spinning at around 2,500rpm, and it gets louder under load. It's never particularly bothersome, but you do wonder if the unit could have been made practically silent with the use of a larger, slower-spinning fan.